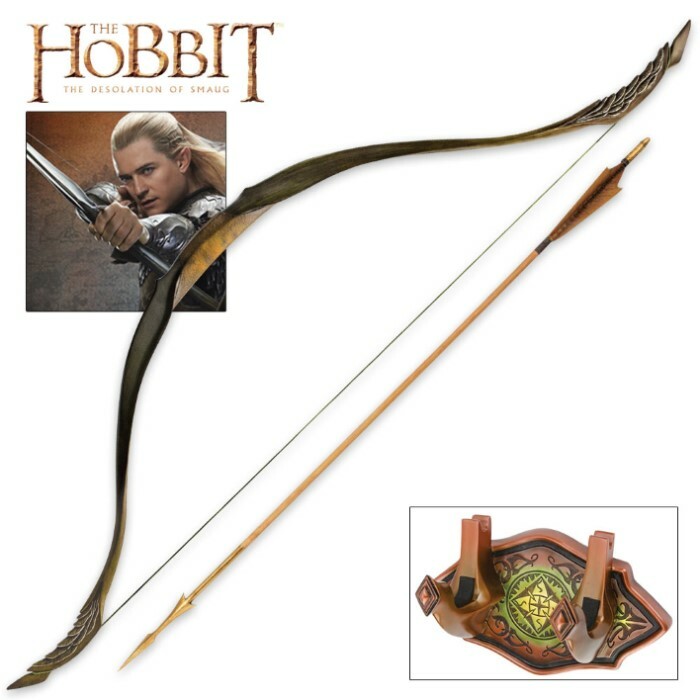 Short Bow of Legolas Greenleaf | BUDK.com - Knives & Swords At The Lowest Prices! This authentically detailed replica is a reproduction of the actual prop built by Weta Workshop of New Zealand and used in the motion picture, THE HOBBIT: THE DESOLATION OF SMAUG™. 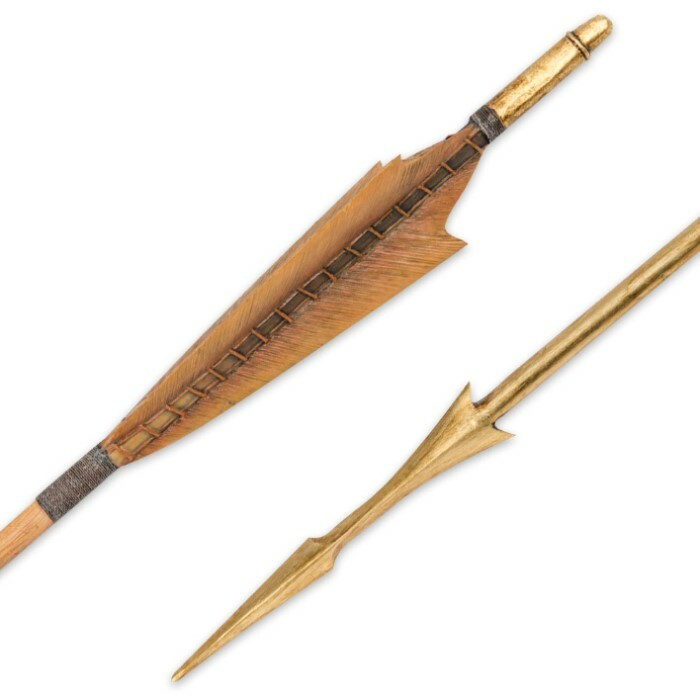 The bow and arrow are crafted from steel-reinforced polyresin, with precisely molded details and coloring. 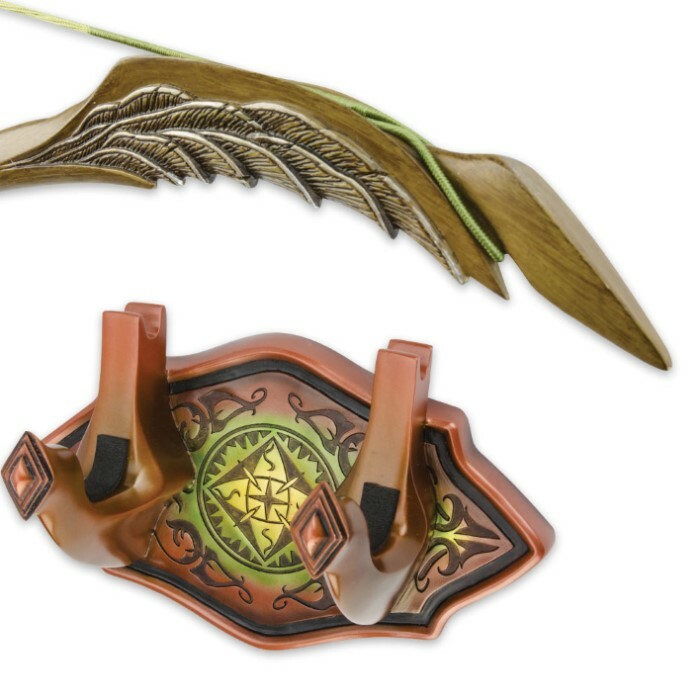 It is presented with a polystone wall display (mounting hardware and instructions included) featuring the graphic motif of the house of Thranduil and includes a certificate of authenticity. What a fantastic display piece! The detail is awesome, and it's massive.The paintwork makes it look like real wood and metal and has a good heft to it as well! The wall mount is sturdy and I can't wait to get this bad boy on my wall!